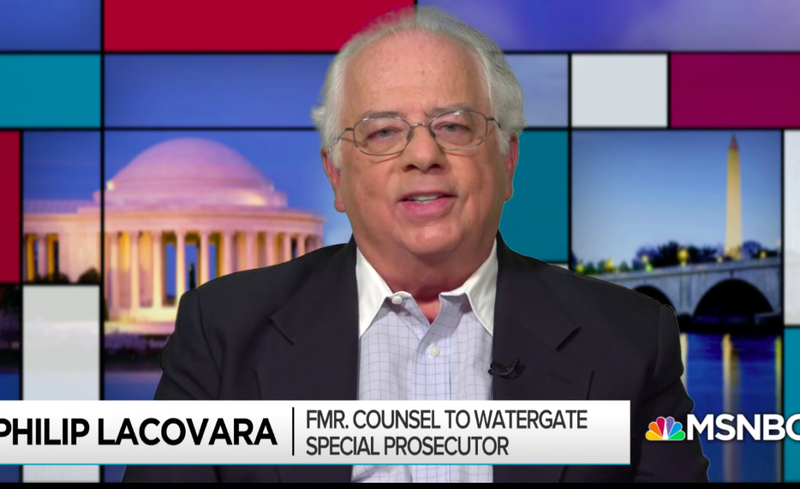 Rachel Maddow gave the nation a teach-in for this important historical moment that includes a very rare interview with the attorney, Philip Lacovara, who won two important transparency decisions from the Supreme Court in the Watergate-era. He then resigned when President Ford pardoned the resigned former-President Nixon, unable to serve a government that would forgive his crimes. Lacovara had been a staunch supporter of President Nixon.